If you rely on Supplemental Security Income, or SSI, to pay your bills, you may be very concerned about the possibility of losing those benefits when you receive an inheritance, which may make you ineligible for SSI. Losing SSI eligibility may also make you ineligible for crucial Medicaid benefits. If you try to hide your inheritance from the government to remain eligible, you may be severely penalized, but some legitimate ways exist for you to remain eligible for SSI payments. SSI is a federal benefits program that provides money to meet basic needs for disabled, elderly and blind people who have little or no income. Though SSI is administered by the Social Security Administration, it is not financed by Social Security taxes, and the program does not consider whether someone has paid Social Security taxes by working before becoming disabled, elderly, or blind. SSI eligibility is established according to criteria in Title XVI of the Social Security Act. 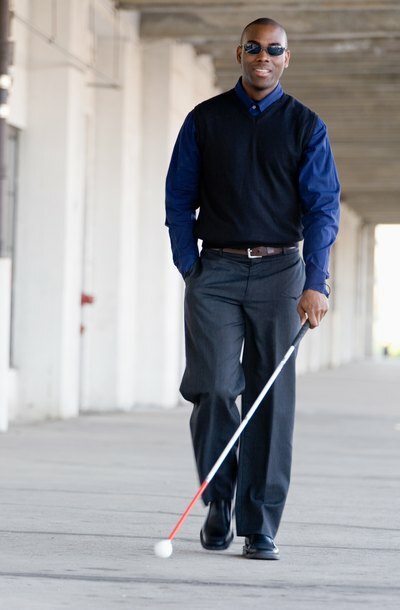 To qualify for SSI, you must be age 65 or older, legally blind or disabled. For adults, “disabled” means you have a physical or mental impairment that results in an inability to do substantial gainful activity that can be expected either to result in death or last continuously for at least 12 months. You must also have limited income and limited resources totaling $2,000 or less for individuals and $3,000 or less for couples. Income includes money you receive from work, free food and shelter, and money you receive from other sources, including government benefit programs, friends or relatives. Your resources are things you own, including cash, bank accounts, stocks, real estate, vehicles, life insurance, personal property or other items that could be exchanged for food and shelter, even if it would have to be sold first. Some exceptions to these rules apply, such as the home you live in and a vehicle you use for necessary transportation. You may be able to keep your inheritance and still retain eligibility for SSI even if the amount of the inheritance would otherwise put you over the statutory limit of $2,000 for individuals and $3,000 for couples, by setting up a special needs trust. Money in special needs trusts, which is managed by a trustee rather than being managed by you as the SSI recipient, can be spent only for specific purposes so the Social Security Administration may not count that money as part of your resources. You can also ask to be disinherited from the estate or to have someone else inherit your share instead, but this means that you'll never receive the inheritance. You must report the amount of your inheritance to the Social Security Administration. If you fail to report an inheritance or other income or resources, you can be forced to pay back any SSI benefits you illegally received, as well as losing future benefits. You could even be criminally prosecuted for fraud if you intentionally hide your inheritance with the intent of retaining your SSI benefits. SSI benefits are not subject to federal taxes. Similarly, your inheritance is usually not subject to federal income taxes, but if the inheritance produces income or the inheritance itself is income, you may have to pay income taxes on that amount. This rule is established in 26 United States Code Section 102, which is part of the federal tax code. For example, if you place your inheritance into a bank account that earns interest, that interest is considered taxable income. AIDS Legal Referral Panel: Will My Inheritance Ruin My SSI & Medi-Cal? If you’re planning your estate and you have a disabled child or other family member for whom you want to provide, the approach you take can require some intricate planning. If you leave her an inheritance outright, you may be doing her far more harm than good, as the gift can cost her government benefits that she desperately needs. Restrictions apply as to what you can leave her and how you can do it without affecting her benefits.